It’s an important distinction to make because the proof burden for these two types of cases is very different. For general negligence cases, one must simply prove defendant owed a duty of care, that duty was breached and the breach resulted in an accident that caused injuries. However, Florida medical malpractice cases, per F.S. 766.102, require claimants to prove by the greater weight of evidence that alleged actions of health care provider(s) breached the prevailing professional standard of care for that health provider. This considers whether the level of care, skill and treatment in light of all surrounding circumstances is deemed acceptable and appropriate by reasonably prudent similar health care providers. In order to do this, one must present a qualified expert medical witness testimony – and that’s long before one ever gets to the trial phase. There is also the matter of the statute of limitations (the time in which one has to file a case). In Florida, general negligence claims can be filed within four years. Medical malpractice claims have to be filed within two years. Medical malpractice claims are more intensive, more expensive and usually take longer to resolve than claims of general negligence. There are more demands on the plaintiff. That doesn’t mean they aren’t worth pursuing. However, if a defendant hospital has an opportunity to allege an incident resulting in injury was medical malpractice rather than general negligence, they are going to do so because it will mean more roadblocks for the plaintiff. According to court records with the California Court of Appeal, First Appellate District, Division Four, plaintiff arrived at a clinic to review a series of test results with a nurse practitioner. Prior to entering the treatment room, she was weighed on a scale and vital signs were taken. After her consultation with the nurse practitioner, plaintiff exited the treatment room. She did not require any further medical treatment, and made her way to the exit. On her way out of the room, she tripped on the scale. She later alleges the scale was moved during her appointment, and it obstructed her path from the room to the hallway. As a result of the fall, plaintiff suffered serious injuries. She filed her personal injury lawsuit just before the two-year deadline for personal injury claims. Trial court dismissed the claim, finding it to be centered on a negligent act or omission to act by a health care provider in the rendering of professional services. On appeal, the appellate court reversed. The court noted that certain injury-causing conduct that requires no skill or medical training (i.e., a janitor accidentally bumping the ventilator of a patient) isn’t considered medical malpractice in California, even though it is a “professional service” and even though it affects a patient’s quality of care. That state’s supreme court specifically instructed lower courts to make a distinction between a hospital’s professional obligation to provide medical care to patients and the obligation these facilities have to maintain their premises (open to the public) in a safe manner. The court held that ordinary premises liability claims should not be subject to the special (shorter) statute of limitations because it didn’t involve the special duties medical providers owe to patients. Therefore, the case will be allowed to proceed. 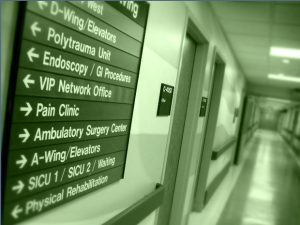 If you are injured in a hospital – not matter what the circumstances – it’s worthwhile to talk with an experienced medical malpractice attorney who can advise you of the type of case you have and the legal options available to you.